Under-five classes are charged monthly or termly in advance, bookings and availability will be confirmed by email. Bouncing, spinning, rolling – your children are already natural-born gymnasts. So if you want to help them develop their physical skills, what better place to start? this class is aimed at children aged between 3 and 5 years. To book your place for the Under-Five independent (without parent) session at Kiln Farm, please click on the link below to choose a session. Please do not turn up until you have been invited as you may be turned away. You will receive a warm welcome on arrival and you can stay to watch the first session. Please make sure your child is fully toilet trained, is ready to be left with our instructors, and is not wearing jewellery or earrings. You should be aware there are waiting lists on most of the under 5 classes. Please only book for your own child. If they have a friend who wants to try then their parent should book them in. 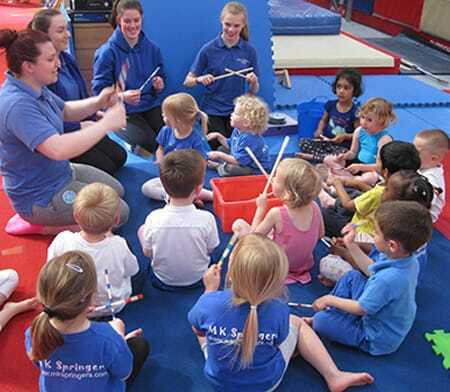 Weekday classes: in the day-time take place during MK Council’s Schools term-time only. Evening Classes from 4.00pm and our weekend classes take place all year round, including during school holidays. While parents are not present at most sessions we have introduced a new structured class on Monday 11.00-11.45am – Term time only-. where parents can attend along with their children. This is for children aged 2+ as a stepping stone to joining our Under 5’s independent class. We advise that you speak to our staff during a waddler to toddler class before committing to the term. 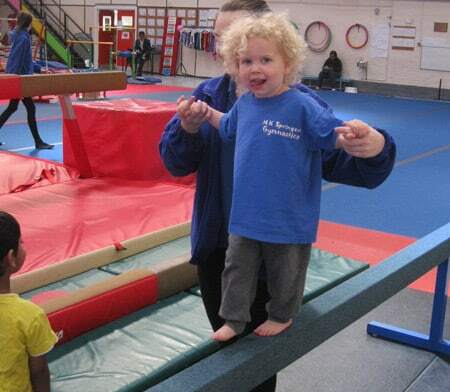 Our Under-Five gymnastics teaches your children important skills like balance and co-ordination. With expert supervision and a playful environment, it’s a great way for them to have fun and lay the foundations of a healthy, active lifestyle.